Helicopter Tours – “Flightsee” exotic Maui, from plunging waterfalls and rugged sea cliffs to eerie moonlike vistas and the stunning expanse of Haleakala Crater. Volcano Express Air Tour – Fly to the Big Island of Hawai‘i to experience the world’s most active volcano, Kilauea, on a 50-minute helicopter tour; then explore Hilo town and Volcanoes National Park by rental car. NEW! Rappelling Waterfalls – For the adventurous soul, rappel down a waterfall located in a privately owned valley! Surfing Lessons – Learn to surf Maui-style. Maui’s coastline offers the beginner surfer some of the most beautiful warm water surfing conditions in the world. 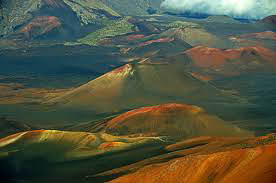 Zipline Adventure – An unforgettable adventure along the slopes of Haleakala or Maui’s West side. Hana Day Tour – Travel the famous road to Hana in a custom-designed limo van. Haleakala Crater Tours – Journey to the summit of famous Haleakala Crater at 10,023 feet, with many interesting and scenic stops along the way. Bike Down the Crater (Sunrise or Morning) – The ride down Haleakala Volcano is world famous for great views and great fun! Guided Rain Forest Hiking Tours – Venture deep into tropical Maui along a natural stream that winds through a lush, forested valley. Maui Cave Explorations – Hike with experienced guides deep into the subterranean passages of one of the world’s largest lava tubes. Sporting Clays – Clay targets are used to mimic the movements of small game as your instructor guides you through a 12-acre course in Maui’s back country. Ocean Aquarium – Much of Hawai‘i’s marine life is found nowhere else on earth. View colorful tropical fish and corals, interactive exhibits, sharks and sea turtles! Horseback Riding – Rides may include panoramic vistas, cattle ranches, rain forests, mountains and lava fields. 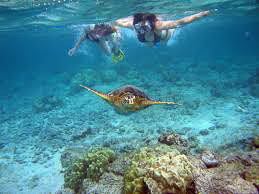 Molokini Picnic Snorkel – Molokini Islet is the rim of an extinct, undersea volcano and is home to a wide variety of sea life in its crystal clear waters. Catamaran Picnic Snorkel Sails – Explore coral reefs, home to exotic fish, Hawaiian green sea turtles, with sightings of Humpback Whales (Dec-Apr). Ocean Rafting – An exciting small group adventure with excellent snorkeling at undisturbed reefs and adventure rafting along rugged coastlines. All-Day Sail to Lana‘i – This full-day luxury catamaran adventure includes a van tour of Lana‘i, sailing, exploring tide pools and snorkeling at a spectacular beach. Whale Watching (December through April) – Enjoy the experience of a lifetime: breathtaking eye-to-eye contact with Pacific humpback whales! Sunset Sails and Dinner Cruises – Kick back and enjoy stunning sunsets and Maui Mountain views, accompanied by hors d’oeuvres or dinner and an open bar. Atlantis Submarine – The spacious, air-conditioned Atlantis submarine will travel 100 feet below the surface for captivating views of Maui’s undersea world. Deep Sea Fishing – Fish commonly caught in Hawaiian waters are Ahi (tuna), Ono (Wahoo), Opakapaka (snapper), Mahi Mahi and Marlin. 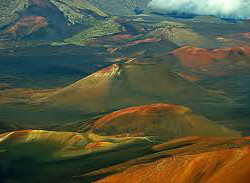 Exclusive Deluxe Land Tours – Custom tours may include Haleakala National Park, picturesque ‘Iao Valley, shopping in the historic waterfront town of Lahaina, Maui’s Upcountry, a tropical plantation or flower farm, the funky town of Pa‘ia, an artist or glassblower’s studio, or other sights based on your schedule and interests. Maui Myth and Magic: ‘Ulalena – Developed by the creators of “Cirque du Soleil,” ‘Ulalena evokes the myths and legends of the land and its inhabitants through imagery, music, percussion, dance, humor and acrobatics. Warren and Annabelle’s – Annabelle, the invisible resident ghost, sits at the piano in the parlor, entertaining guests as a prelude to the one-hour performance of Warren Gibson, a premier sleight-of-hand magician. 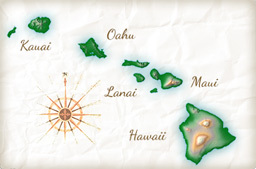 Traditional Lu‘aus – A variety of public lu‘aus are available, or an exclusive lu‘au may be custom-tailored for your group.